On the topic of all things green, I don’t know if we’re an early adopter, per se, but I think we’re catching on. And, I think when our city puts its minds to something, pretty cool things happen. Evidence of such determination can be found in our attitude toward being a cycle-friendly city. For example, Indy experienced 150% growth from the year ‘00 until ’09 in bicycle commuters. Still, even at that rate, our total percentage of those electing to bike was only .5 percent, compared to cities like Minneapolis, with 3% or the obvious Portland, with a whopping 6%. Nonetheless, in 2012, an organization aimed at making our city more conducive to cyclists formed. 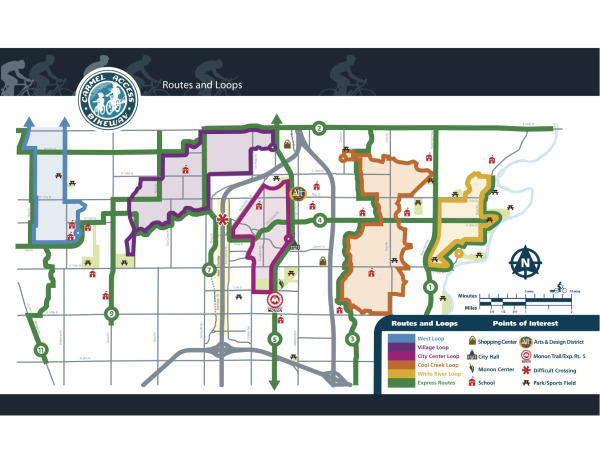 Thus The Indy Ride Guide was born, and it along with several partners including IndyCog, spent several years developing maps for cyclists and backing initiatives to make our roadways more hospitable to non-motorized, two wheel transportation. It’s a hopeful positive that our city is progressively fostering the culture and resources of a bike-friendly city. Even with it’s growing prominence as a bike-friendly place, there are a few winning areas on the list, for best bike neighborhoods or towns in Indianapolis and surrounding areas. 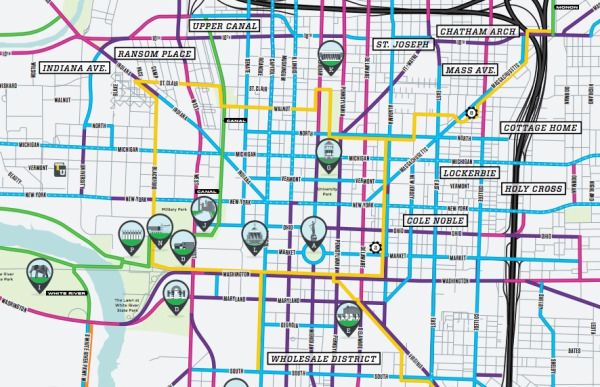 Fountain Square and Lockerbie are some of the best areas for riding around downtown, but for the full map, click here. 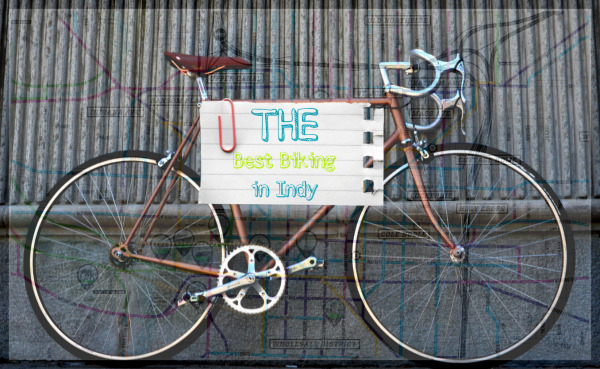 As for the outlying areas of Indianapolis, there were a few clear winners of best suburbs for biking. Those were Plainfield and Carmel, with Fishers and Noblesville trailing behind, but not by much. If you are an avid cyclist, there are several organizations with group rides, advocacy, rider education and more available to members. These include BicycleIndiana, and IndyCog, which you can also follow on Facebook and @INDYCOG on twitter. 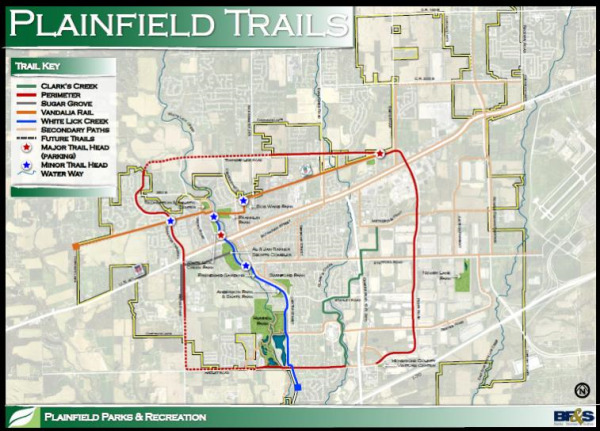 Additionally, Fishers has a cyclist Facebook page, if you want to find good places to ride and people to ride with. Happy cycling and happy Spring!